The HDD of my iMac (24-inch, Mid 2007) crashed and I had to get a new one. After I changed the HDD, the fan started to run at full speed. The noisy fan was very irritating. I am running Mac OS X Yosemite 10.10.5 (14F27). I tried the in-built spin dump to check at what speed the fan was running. $ cat /tmp/spindump.txt | grep "Fan speed"
This seemed too low to cause a noisy flag. Maybe it was some other fan. I googled around for more tools and came across smcFanControl. Since I am running Mac OS X Yosemite instead of Mac OS X El Capitan, I could not get the latest Xcode. I thought of upgrading to El Capitan, but reviews on App Store pointed out that Xcode + El Capitan on 4 GB RAM is a disaster. Finally after googling on Yahoo (I know!) 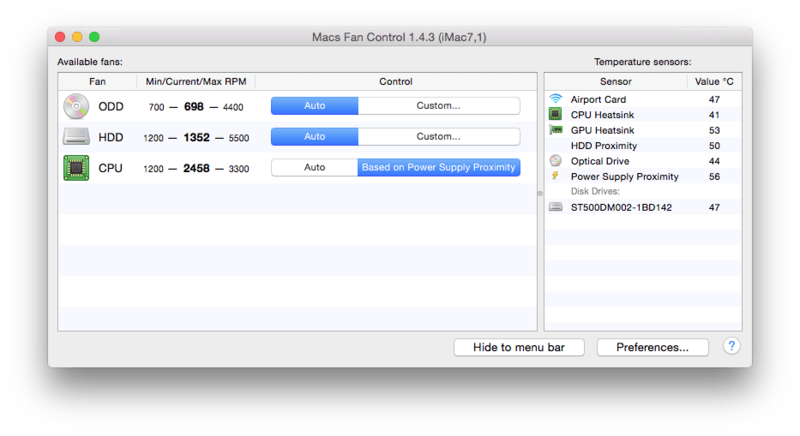 using keywords ‘imac noisy fan’, I came across Macs Fan Control. They had a free and usable version of the software. This was first useful information. I tried setting limits on fan speed of each and soon realised it was the CPU fan that was the noisy one. 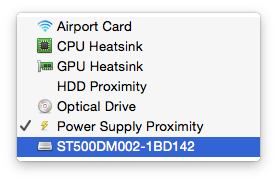 The default sensor was pointing to the HDD. My guess is there is no heat sensor in the HDD I installed. So I chose another sensor. And finally … fan was silent! Thanks to folks at Crystal Idea (@crystalidea).